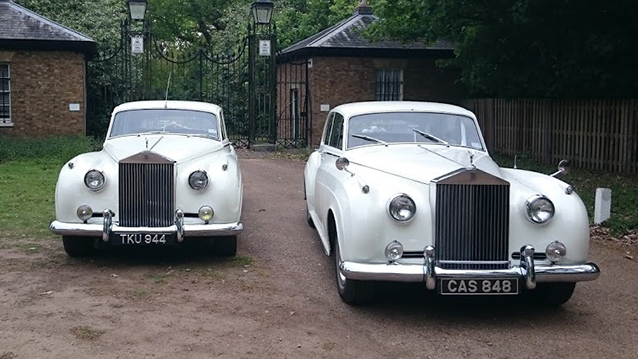 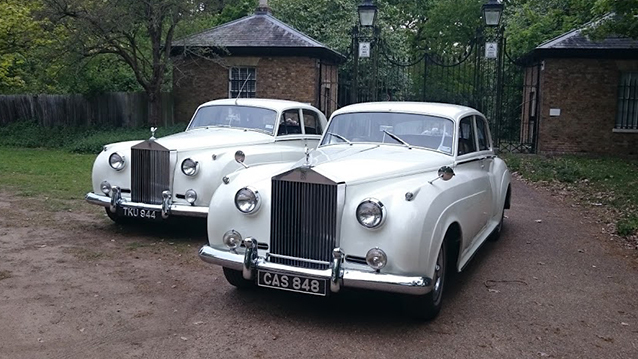 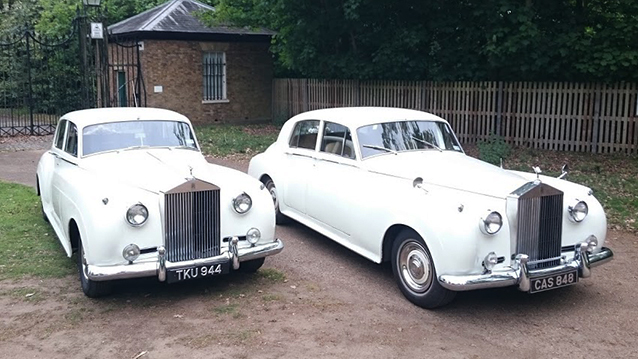 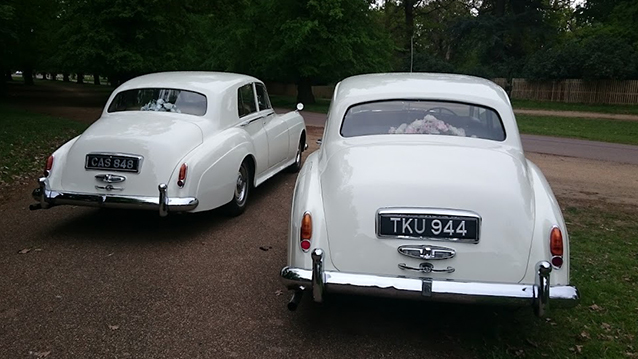 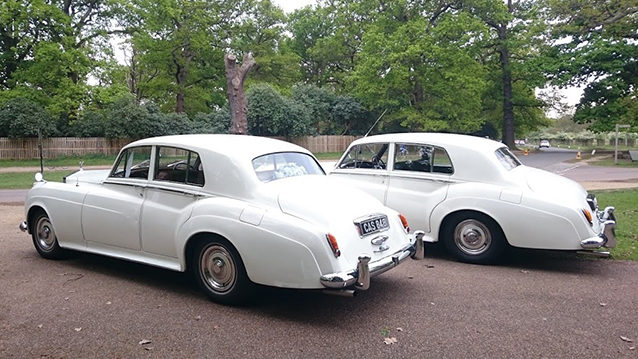 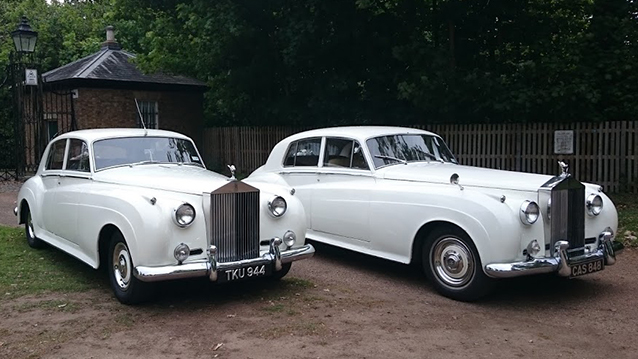 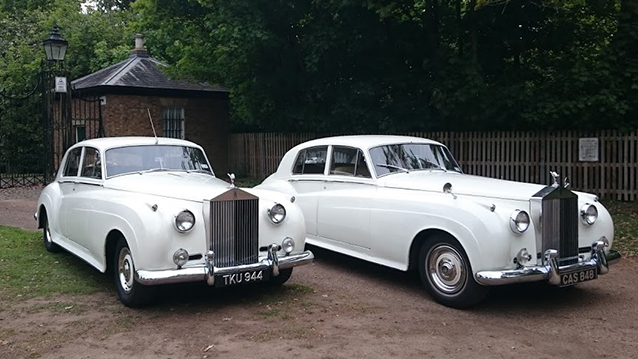 The 1950’s and 60’s era produced one of the most iconic vehicles of all time that being the Rolls-Royce Silver Cloud, they have always been a very popular wedding cars because of their sleek and sweeping lines and these particular vehicles have coachwork in traditional White so two reasons why these vehicles are booked regularly. 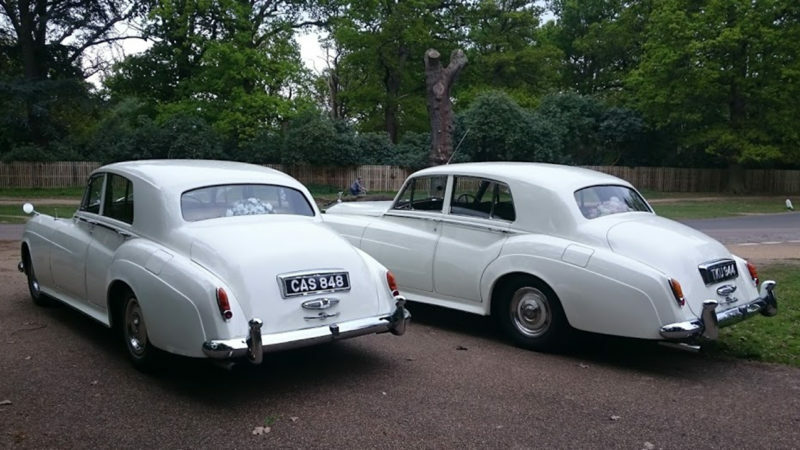 The famous tall radiator and the Spirit of Ecstasy mascot on top will undoubtedly be one of the most elegant photos in your wedding album, after the Bride of course ! 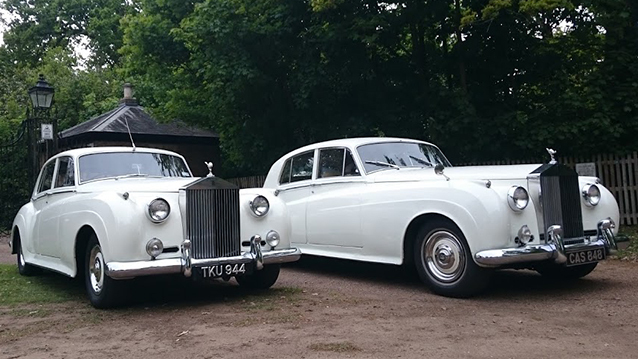 PLEASE NOTE: These cars individual reference numbers are 485 and 469 so if you only require one car and a single car price please go to the individual car page to add to your shortlist, otherwise if you add this pairs page to your shortlist you will be quoted for the pair together.